A weekly chart to send home to parents. 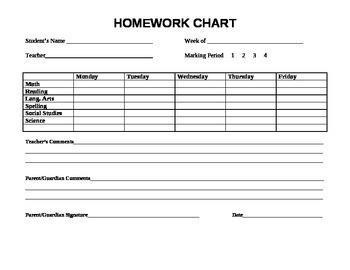 It is a fast and easy way to keep parents updated on whether or not their child is turning in homework. This is a great form for parent communication.